I had submitted my writing to various publications for close to a decade before launching my own literary magazine— Mothers Always Write. While I was successful in publishing my poetry and essays, that success has increased significantly since I’ve founded and edited MAW. I’ve learned some interesting things about the review and publications process just from being on the other side of the desk, and these ideas apply whether you’re seeking to publish in literary journals, magazines, or blogs. 1) There’s no need to be formal, just professional. Maybe it’s the former attorney in me, but I always felt compelled to write formal cover/query letters—leaving out anything personal or unique. The letters were perfectly executed and followed all of the writer’s guidelines, but they failed to reveal anything about my personality or my writing style. Then I started receiving cover letters as an editor of MAW, letters that were personable, quirky, and often as creative as the submitted piece itself. Some writers clarify with specificity how MAW is different from other journals. Others describe how MAW has filled a specific void in the mother-writing world. Still others identify the particular statement they think the magazine makes. Those cover letters that explain why a writer wants to be published by MAW and identify their understanding of the magazine are by far the most compelling. Of course, the submission has to be right for the journal, but a cover letter that lets the editor know what you like about the magazine packs an extra punch. It provides invaluable feedback to the editors about how we’re doing, and it’s difficult to ignore. How inspiring it was to hear that the journal that I had poured myself into creating had touched my submitters! 2) It’s okay to communicate and follow up with editors. Somehow I got the idea that editors don’t want to be bothered. I always believed the communication channel between writers and editors was intended to be a one-way street. Perhaps I envisioned the editor at a large mahogany desk in some New York office building wading through file folders full of famous writer submissions. Maybe there are some journals that want writers to adhere to a strict no-contact policy. But, what I learned by editing a literary magazine is that we editors value communication from the world of writers. For example, when a poem or essay is accepted for publication, it is not only acceptable but appreciated when a writer sends a thank you email. Editors love to hear feedback about how the piece was presented on the page. I often wonder if the writer thinks the photo we paired with her piece is as perfect as we think it is. Did she like the selection of pieces as a whole? We receive tweets from prospective writers noting where they spotted the magazine and letting us know that they’re sending something over. I’ve had writers point out inconsistencies in the writer’s guidelines. This feedback helps us improve our future issues. And, editors are more open than you’d think to suggestions from writers. We appreciate when a contributor emails that they have the perfect photo or when they feel their piece would be stronger if published in conjunction with a specific holiday, book release, or marketing campaign. Producing a journal is collaborative, and editors cannot know all. If your piece is timely because of a simultaneous book release, a movie, or a new scientific study, let the editor know. I guess, if an editor is too busy, you won’t hear back from her. But, many want to hear your view, especially when you are pleased with the publication. 3) Promoting your writing and even helping others market is key. Promoting your writing by way of social media helps the writer but also helps the journal and is a good way to thank the journal for publishing your piece. Editors appreciate help in getting their journal (and your writing) read by many. As a result, they notice when a contributor or prospective contributor retweets an announcement by the magazine or shares their published writing on Facebook. Editors notice when a writer has a genuine interest in the magazine. While it’s okay to hit and run, MAW prefers writers who really believe in the vision of our magazine and who are going to stick with us as readers and perhaps repeat writers. As a writer, I now follow more closely the journals I love, read their pieces, and tweet them or share them on social media. I also seek out journals that are going to promote me, share my writing, and help to get my name out there while creating a readership for my piece. At MAW we make a huge effort to promote not only our own pieces, but also the pieces written and published elsewhere by our writers. This takes time, but it provides an important service to writers. 4) It’s important to know the journal or blog to which you are submitting. There are many reasons why an editor might reject a piece. Most often, the journal has a particular editorial focus, and the piece is not consistent with that focus or theme. Editorial focus can be subtle. For example, MAW focuses on mothering with a positive, accepting approach. While motherhood is a very broad topic, some pieces we receive are written by mothers but don’t have mothering as their primary focus. Another common cause of rejection is that the piece doesn’t have universal appeal. While we love very personal stories about motherhood, something important must come out of them, something that reaches out and grabs our mother readers. As a writer, it is important to find that relevant angle and to nail it. Through editing, I’ve learned to spend more time identifying the subtle differences in focus among journals so that I can better direct my pieces to them. The point here is to know whether the magazine or blog purports to be literary (in which case the focus is in large part about getting the message across subtly through the use of rich, figurative language); if its goal is to provide more practical information (i.e. 10 things I wish my mother told me about mothering); or is the focus journalistic (feature story with research, interview and exposition). Is the tone of the journal/blog nurturing or sassy? Is focus more narrative (story, characters, and dialogue are important) or reflective (inner thought, emotion, and inspiration guide the piece)? I’ve also learned to think more about the timing of my writing submissions. If I write an article inspired by the cherry blossom tree, I’d better submit it to the journal well in advance of the spring bloom (perhaps the following year if I didn’t write it in time) so that an editor can review and publish the essay when it feels most relevant. This is why it is important to read and watch a journal for a few cycles of its publication before submitting in order to understand its primary focus and perhaps figure out what themes it has already covered and what it might be looking for next. I’ve also discovered new journals and blogs to which I can submit my writing. By tracking down listings where journals like MAW can place calls for submissions, I learned of many sites on which to find listings of publications. I now rely on sites (like BYB) that categorize journals by subject. I watch my twitter list of writers I follow to see where they are publishing. When I read an essay I like in a journal or on a blog site, I’m sure now to read the writer’s bio to see where else she has published. 5) Editors like to know who you are and what you write. I don’t mean that in any creepy stalker way; it’s just that creating a magazine is a business and an art, and editors tend to want to know who’s who. When an editor reads a piece they particularly like in another journal, they might follow the writer to determine whether they want to solicit a piece for their own journal. For example, if MAW is putting together an issue focused on a particular theme and we come across a writer who tends to favor that theme, we’ll examine her writing as a possibility. As a result, it’s very important for writers to maintain a website or a blog where editors can go to get a flavor for the style and range of their work. Recently, I’ve had to rethink my personal website that I created years ago when my focus was primarily YA fiction. Since then, I have written poetry and essays for adults and have now updated my website to illustrate that change. 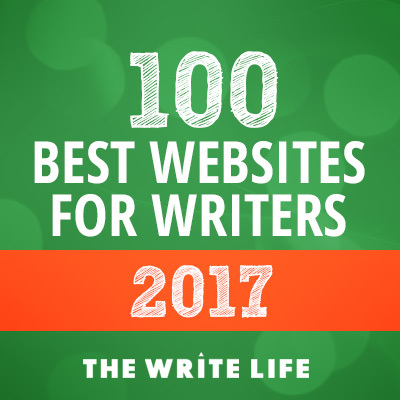 If a writer’s website shows the span of their work, she might find that a journal that published her poetry might also reach out and request an essay or a book review, for example. It is important to create a clear, online presence that showcases you as a writing professional so that blogs and journals can find you. Oh, and the editor, the one behind the large mahogany desk in the New York office, she’s actually sitting on the couch in her pajamas with a big bowl of strawberry ice cream on her lap, reading submissions late into the evening. Julianne Palumbo’s poems, short stories and essays have been published in Literary Mama, Ibettson Street Press, YARN, The MacGuffin, The Listening Eye, Kindred Magazine, Poetry East, Mamalode, and others. She is the author of Into Your Light (Flutter Press, 2013), and Announcing the Thaw (Finishing Line Press, 2014), poetry chapbooks about raising teenagers. Julianne was nominated for a Pushcart Prize for her YA poem, “Stuffing Bears.” She is the Founder/Editor of Mothers Always Write, an online literary magazine for mothers by mother writers.